Anyone who knows me knows that I am not much of a morning person. I love a beautiful sunrise …… but only in photos. There is not too much I love about mornings except maybe the concept of a snooze button. Now, in reality, I would love to be an early riser who could get up about 5:30am and go jog (if I can get up at 5:30 then, yes, I can also jog), come home and fix my family breakfast, have my daily quiet time and then take my time getting ready and still be on time to work. Yes, that is the way that I would love for it to be but I’m pretty sure that even though it was a recessive one in my parents, I believe that I was given an “unearly” gene somewhere in my system. 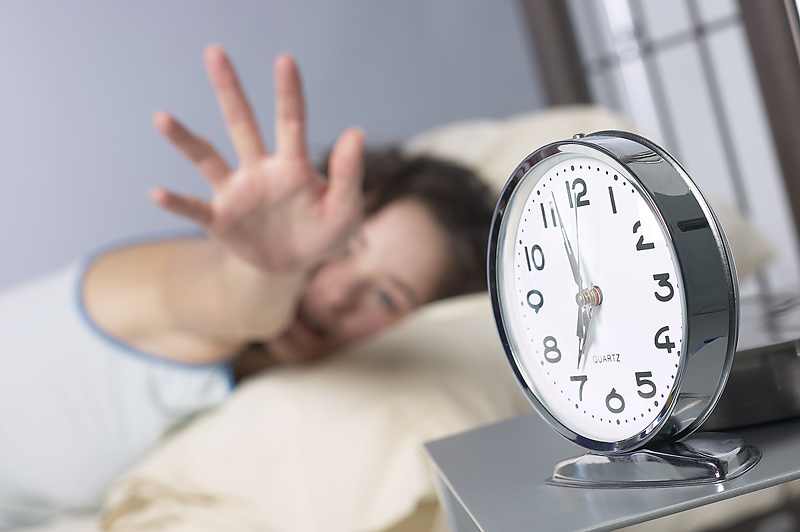 My mornings are more like this….. hit the snooze button, hit the snooze button, hit the snooze button…. get out of bed, stand somewhere between the bed and the bathroom, stare at something until the snooze button goes off again…. slowly go about waking myself up while I manage to get dressed, fix breakfast and get my youngest ready for school. How safe it is for the rest of the world, I don’t know…. but because of my husband’s work schedule, on most school day mornings I am the one who delivers the youngest to school. The fortunate thing is that she attends the school in the building where I work. Some mornings I stay at work when I take her but often I will return home for some quiet time and finish getting ready for work time. The other day was one of those hurried mornings. After rushing to get her to school, talking to her teacher, stopping on the way back to the car to have a detailed conversation with two other parents, and running into my office, passing a multitude of parents, I decided to slow my morning back down by stopping at the nearby food mart for a cup of coffee. Once home I made my way to the mirror for a makeup refresher and noticed something that completely woke me up……my shirt was on but it was on inside out! Now, you might say that was not a big deal… even stopping to chat with others or going into a public place… it could have been a lot worse and you are probably correct. It is just the thought of what people may have thought…. it was actually pretty funny (though I had no one to share the humor with) but I laughed, corrected the error and went about my regular routine. Funny how no one told me that my shirt was on inside out…. maybe they didn’t care, maybe they didn’t want to embarrass or offend or maybe they just didn’t notice… regardless of the reason, if I hadn’t gone back home then I would have really made a fool out of myself at a later time during that day. Life is kind of like that. People live their lives seeking and searching and filling voids with “stuff”… actually living life inside out or upside down. They think they are on the right path but have it mixed up just a little… It is not something uncommon or distinctive of our day and age. The Bible has stories that took places thousands of years ago and are totally relative to living inside out. Jephthah was a prime example of finding out that, though his intentions were good, he was living inside out. The story is one we often don’t hear … (I definitely know why it isn’t taught to children…unless you want them to have nightmares). Jephthah lived in a time period when the Israelites were caught up in idol worship. They knew about God and even worshiped Him to some extent but their faith was intertwined with false religion… making it easy to get confused about exactly what God wanted. So, Jephthah was apparently quite the warrior…. he was winning battles but his call out to God to defeat the Ammonites had a twist to it. Jephthah made a promise to God (remembering that breaking a promise to God was a law that if broken would have been sin… and there was no grace of a savior at that time). He told God that if he would let him defeat the Ammonites then he promised to sacrifice to God “whatever was the first thing to come out of” his house when he arrived home. Jephthah defeated the Ammonites, so being a man of his word he headed home ready to sacrifice the first thing that came through his door. Now I’m not sure what the guy was thinking. Maybe he was thinking that his beloved dog would come running out to greet him … yes, that would be a sacrifice. Maybe he was thinking his mother-in-law would step out the door to see who was coming… yes, that would be a sacrifice…a sacrifice maybe or a blessing. Maybe he was thinking that it would be his wife… maybe he pictured her coming out of the door saying,”Well, it is about time you came home. Do you know while you and your little warrior buddies were out galavanting all over the countryside I have been here cooking and cleaning and raising a family. Now get in here and help me already.” Yes, that would be a blessing… er, uh sacrifice. In reality though, he had to know that if that was his home then something of value to him would walk through that door and that is exactly what happened. His precious daughter came out singing praises to God because her father had won against the Ammonites. He grieved and told her of his promise to God…. she understood and agreed that he needed to keep his promise and Jephthah killed his daughter as a burnt offering. So what is so “inside out” about keeping a promise to God? Probably nothing if it was actually a promise that God would approve of (however, I’m not so sure how God feels about cutting a deal with him) but that was the problem. Jephthah had his faith mixed up with the false religions of those around him… nothing pure about what he believed. And because of that mixed up faith he ended up doing the unspeakable…. he was no different that those around him. He definitely needed someone to tell him to turn his shirt inside out. That what he was he was doing was honorable but not necessary. There was a wholesome way to give praises to God that did not require a human sacrifice…. those kind of sacrifices were left up to the believers of false gods. People today are still caught up in living inside out. They seek another unhealthy relationship just to fill a lonely heart. They drown their sorrows in substances trying to hide pain. They work more hours to avoid facing a relationship struggle. They leave a relationship just because they want something new. They try to find answers through seminars and self help books…..I would say most of the time I am completely guilty of not sharing what could fill the void. Why is so hard to let them know that they might want to change their “shirt”? Maybe it is because we don’t care. Maybe it is because we don’t want to offend. Maybe it is because we didn’t notice…. If I am guilty of the first two then maybe I need to evaluate how much I want to see them make fools of themselves later because I didn’t say anything. If the last one is the case then maybe I should find out why I didn’t notice…. maybe I might find out that my shirt is on inside out too. 21 “Then the LORD, the God of Israel, gave Sihon and all his men into Israel’s hands, and they defeated them. Israel took over all the land of the Amorites who lived in that country, 22 capturing all of it from the Arnon to the Jabbok and from the desert to the Jordan. 28 The king of Ammon, however, paid no attention to the message Jephthah sent him. 32 Then Jephthah went over to fight the Ammonites, and the LORD gave them into his hands. 33 He devastated twenty towns from Aroer to the vicinity of Minnith, as far as Abel Keramim. Thus Israel subdued Ammon. 38 “You may go,” he said. And he let her go for two months. She and the girls went into the hills and wept because she would never marry. 39 After the two months, she returned to her father and he did to her as he had vowed. i love the part that you wrote of not telling other’s of they situation, we all should be our brother’s keeper and tell other’s off the source of true happiness, which is in Jesus.